The NCAA stole a lot of the thunder of this February’s national signing day when it pre-empted the traditional period by allowing prospects to sign in December. That change eliminated a large chunk of the anxiety and uncertainty from Wednesday, when high-school seniors can sign a National Letter of Intent, but the Utes are one of few Pac-12 Conference teams that have roughly half of the recruiting class yet to sign. Utah already signed seven players, including three junior college transfers. That was the fewest signings in the Pac-12 during the early period. Utah figures to add at least eight recruits to its class this week. The signature member of the class likely already came when highly touted quarterback Jack Tuttle from San Diego signed in December. Tuttle, a four-star passer who was pursued by national powerhouse programs including national champion Alabama, already makes this a benchmark year in terms of recruiting. Eight prospects, including five prep standouts from Utah, already publicly announced intentions to sign with the Utes this week. Timpview’s Jackson Cravens, the top-rated defensive tackle prospect in the state, added his name to the group of Utes commitments Saturday. Highland offensive lineman Hunter Lotulelei, Herriman offensive lineman Jaren Kump, Herriman tight end/defensive end Tevita Fotu and East defensive tackle Paul Maile each announced commitments to the Utes in the fall but have yet to sign. Kump will serve an LDS Church mission after his high-school graduation. Other commitments for the Utes include linebacker Andrew Mata’afa from California, defensive end Blake Kuithe and athlete Brant Kuithe of Texas. UCLA persuaded wide receiver Delon Hurt of California to change his commitment from Utah to UCLA this past month. Desert Hills offensive lineman Penei Sewell, the top-ranked prospect in the state, still has not announced a decision. The 6-5, 349-pound tackle named Utah, Oregon, USC and Alabama as his four finalists. 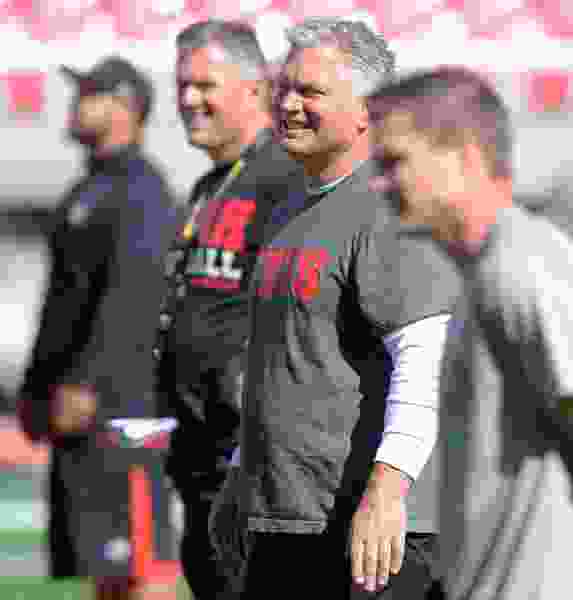 The Utes signed defensive back Malone Mataele from California, wide receiver Terrell Perriman from Florida and offensive lineman Braeden Daniels from Texas along with Tuttle during the early signing period. They also signed junior college all-American defensive back Vonte Davis, junior college linebacker Bryant Pirtle and junior college defensive end Jeremiah Jordan. Newcomers to the program also will include Mika Tafua, a defensive end from Hawaii who originally committed to BYU before serving an LDS Church mission. Tafua joined the program in October. The Utes announced Monday that safety Quinn Fabrizio, an Alta High graduate, has enrolled for the spring semester. Fabrizio signed in 2015 before going on an LDS mission. Whittingham acknowledged that the number of early signings nationally exceeded his expectations. He does expect the Utes’ approach to change in the future as they push to sign a larger group during the early period.